When it comes to marketing campaigns, you want to pull out all of the stops and use all the tricks at your disposal to make your content stand out from your competitors. This includes using images effectively and in line with Google's standards. One study supported the power of images by showing that blogs or content with relevant images received up to 94 percent more views than content without images. These findings are huge for marketers, and to help marketers make use of this information, we're going to go over a basic guide for using images in your content. We'll touch on which platforms you want to focus on and how you can get the most out of each image that you successfully incorporate into your marketing campaigns. Did you know that around half of your brain plays a role in the visual processing process? Additionally, roughly 70 percent of all the daily sensory inputs you encounter go directly to your eyes. We're visual creatures by nature, and our eyes naturally go to images over text when looking at content. When you combine this with the fact that it has become extremely easy for people to upload images through phones, cameras, and social media platforms, you have a virtual party for the eyes that marketers should be capitalizing on. In fact, one trend estimated that people upload an average of 1.86 billion images each day. Consumers are bombarded with image-heavy content each time they search for something, which is why it's so important to add images to any content you are posting. Don’t get left behind with all-text posts. There are dozens of ways to add images to your content. All options have advantages and disadvantages, but no matter what, it's up to you to decide what images work best with your content. Images in Blogs: You can find blog images throughout the blog's headers and in the body text. These images are related to the core content and message of the blog post. They're useful for showcasing your blog on social media platforms. Simplicity is the key to blog images, but you want to make sure that they relate to your content. If you can find an image that surprises your audience or adds a humorous element, it's even better. Images for Products: Any e-commerce platform needs images. You want to have at least one high-quality image for each product that you're trying to sell. Your images should all be consistent to form a united front as well. These images allow you to showcase your products. The images also let your potential customers compare and contrast your products side-by-side quickly and effectively. Infographics: Infographics are definitely more time-consuming than other images, but they have huge payoff potential. These types of images showcase valuable information and statistics, which the infographic then displays in an engaging and entertaining way. They're excellent for generating shares across social platforms, and they get all of your important information across to your audience without any additional text accompanying it. When you upload your images, make sure that you're using descriptive tags and names on each image. For example, if you upload a picture of a car, naming it something along the lines of "small red car" is much more descriptive and SEO-friendly than "IMG 2012." It's also very important that you keep your images on the smaller side instead of using huge images that take up a major portion of your page. How quickly each of your images loads when someone clicks on your page plays a role in how well Google will rank your page. Google can penalize you if your images load too slowly, and this can cause your ranking to fall. Finally, make sure your images have descriptive "alt" tags attached to them. You want to add alt and description meta information in your content management system to every image you upload. This alt tag will help search engines like Google understand the message you want to convey with your image. The use of descriptive tags allows Google to feature relevant images in the image search when people perform searches. You could argue that all social media platforms are visual friendly. 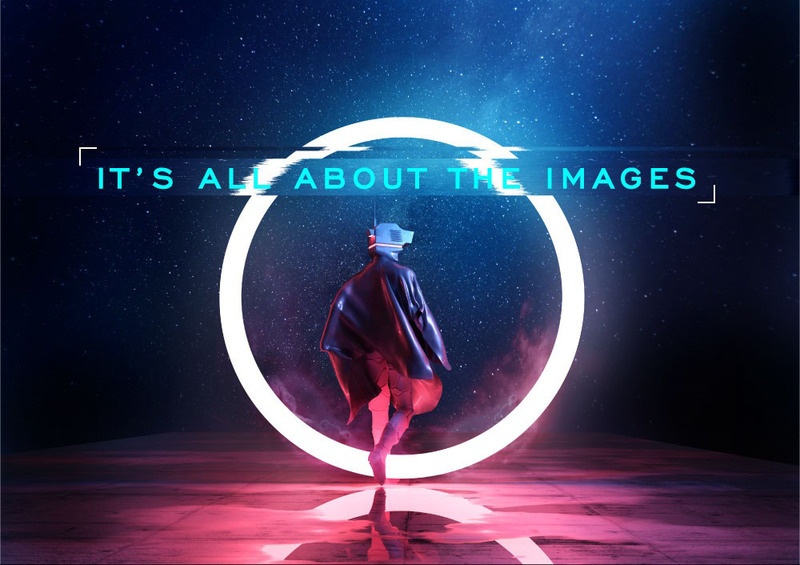 However, some platforms outperform others when it comes to combining images with content. Facebook is another wildly popular social media platform for photo and content sharing. Currently, there are roughly 350 million photos uploaded every single day. This averages out to 147,000 photos every second. Images are extremely easy to share, and this contributes to the popularity of this platform. Instagram is an image-based social media platform, and its members share an estimated 49380 photographs every passing minute. You can also upload videos. Instagram ads make an estimated four billion in revenue each year. Now that you know how important images are in content marketing, and how to incorporate SEO tactics into each post, we invite you to look at this infographic to get more information and statistics. It’s All About the Images can help inform your content strategy and boost engagement!